In this sweeping musical tale, Orella is born deaf at the brink of the Italian Renaissance. Her journey takes her through a childhood of poverty, an adolescence in hiding, and a young adulthood at an asylum for the “cursed”. However, her drive to learn and her courage to communicate with Sign Language unites a broken kingdom, and Orella is ultimately crowned the world’s first proud Deaf queen. IRT Theater will present a work- in- progress presentation of this original piece, focusing on the complex and magical fusion of theater, music and ASL. Hear acclaimed Shakespeare scholar Kim F. Hall (Othello Was My Grandfather: Shakespeare and Race in the African Diaspora) deliver her Keynote lecture then at 2pm, she is joined by actor/playwright Keith Hamilton Cobb and director Kim Weild in discussion about American Moor, Shakespeare and Race moderated by actor Judy Sandy. A world premiere written by Liza Birkenmeier and commissioned by Carnegie Mellon University School of Drama. 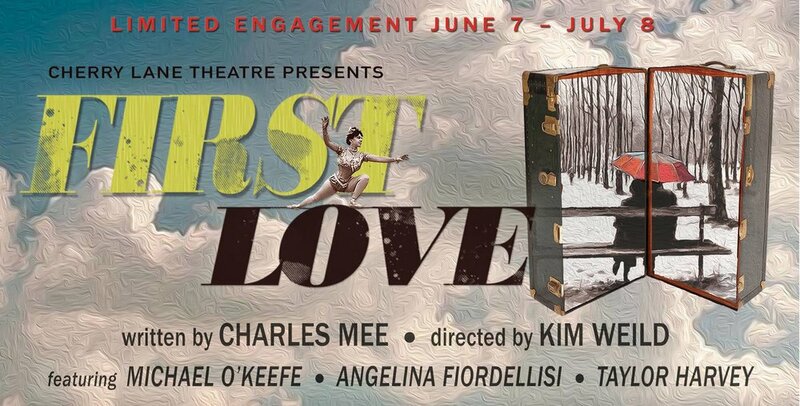 Join us on June 11th for a Celebration of Charles Mee's 80th Birthday and Benefit Performance of FIRST LOVE!